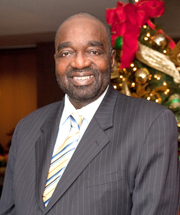 Stanley A. Holbrook graduated from the Heinz School of Public Policy and Management of Carnegie Mellon University with a Master's degree in Public Management. In addition, he has an MBA in International Business and Strategic Planning from Point Park College and earned a Master's Degree in Theological Studies from the Reformed Presbyterian Theological Seminary. Mr. Holbrook also graduated from Geneva College with a Bachelor's degree in Human Resource Management. Currently Stan is the owner of S. A. Holbrook and Associates, a management consulting firm that does organizational development, diversity and inclusion training, strategic planning, and capacity building training. Mr. Holbrook completed his doctoral studies in Transformational Leadership in June 2015. Mr. Holbrook is extremely active in the community, serving on committees and boards such as the American Society of Aging and the National Council for Independent Living (NCIL). He was instrumental in developing NCIL's Diversity Initiative. Stan has served as the chair of the Diversity committee of the NCIL Board for the last 10 years. He was the Vice-Chair of the Governor-appointed Statewide Independent Living Council and the president of the Pennsylvania Council for Independent Living. Mr. Holbrook also served as a delegate to the White House Commission on Aging in 2005. Mr. Holbrook has presented at several national conferences on Health Disparities of People with Disabilities and the Influence of Race and Color. He has also presented on Health Equity and People with Disabilities at several statewide conferences. He was part of a task force that worked on the Cultural and Linguistic Competence Assessment for Disability Organizations (CLCADO): Assessment and Guide in conjunction with the National Center for Cultural Competency at Georgetown University.